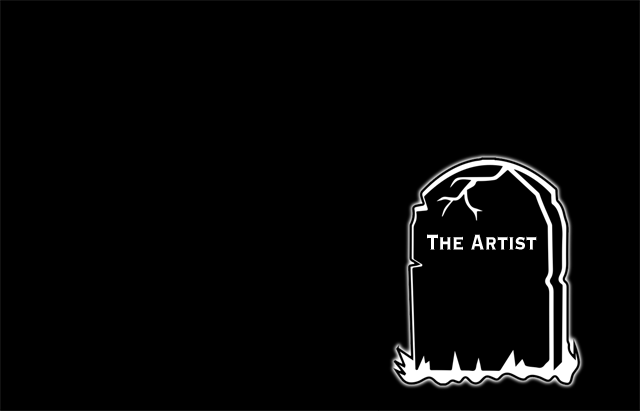 The Artist has died. The Artist created Art, and gave it to the world, and we still have that Art, but the Artist is gone. I don’t find jokes about how Artists are worth more dead than alive amusing. Artists contribute to our world in many ways, and while it’s easy to ridicule those who pursue degrees in the Arts, I ask you instead to consider the impact Art has had on your own life. Artists are performers, actors, musicians, singers, writers, educators, photographers, chefs, directors, designers, filmmakers, inventors, entrepreneurs, and above all, people. If you’ve enjoyed a movie, or an album, or a book, or a delicious meal, or learning, you may need to thank an Artist. If you haven’t died because of poorly communicated warnings, or signage that prevented you from danger, you may need to thank an Artist. Artists create work that makes us happy, and sad, and makes us feel something. Artists create work that people enjoy, that changes lives, that saves lives. We all contribute to this world in our own way. Nearly all of the Artists I know try to contribute to this world in a positive way. Most of them art not motivated by greed or power, but by the desire to create and share with others. Posted on Thursday, January 14th, 2016 at 9:37 am. Subscribe to the comments feed. Both comments and pings are currently closed. Post on your own blog.